Two-stage helical-worm gearmotors from the S..EDR.. series are particularly cost-effective. The explosion-proof design of these gearmotors can be used in environments classified as zones 1, 2, 21, and 22. Looking for a reliable, low-maintenance, and explosion-proof drive solution? Then our helical-worm gearmotor from the two-stage S..EDR.. series is the perfect choice for you. 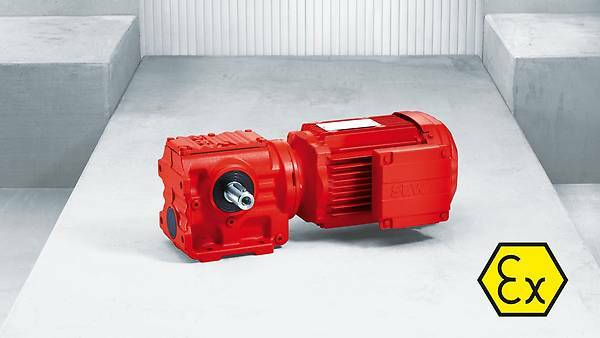 The combination of reliable motor and robust helical-worm gear unit offers you ATEX-compliant protection in medium torque ranges. Thanks to their specific design features, these gearmotors run particularly smoothly and quietly. The two-stage design of the explosion-proof S..EDR.. helical-worm gearmotors provides very high efficiency. Another benefit of this drive is that it is particularly cost-effective. Thanks to its simple and robust design, you can make significant savings on costs and installation space, giving you the ideal explosion-proof drive solution. Our S..EDR.. helical-worm gearmotor offers you motor power ratings from 0.12 kW to 45 kW. 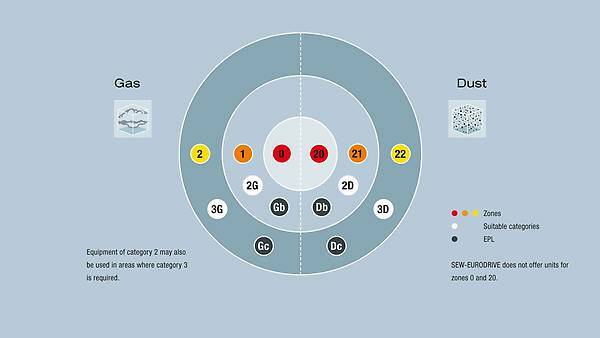 Depending on the selected drive configuration, you can achieve output torques in the range of 92 Nm to 4000 Nm. Take advantage of all the optional features available, such as flange-mounted or foot-mounted motors, or solid-shaft or hollow-shaft designs. This ATEX-compliant gearmotor fulfills the requirements of equipment categories II2GD and II3GD. The design of the S..EDR.. helical-worm gearmotors ensures particularly smooth, attenuated operation. This is made easy thanks to the right-angle-gear-unit design and reduced installation space requirements.